Goodbye Jonathan Ollivier, 1977 – 2015! The news on Sunday evening was far too sad, one of those news you wouldn’t never read! The dancer Jonathan Ollivier 1977 – 2015 died in the morning after a motorcycle accident. I feel so sorry for him and his family and colleagues! I read he was a father, too! Destiny can be so unfair and yet he had an amazing life and will stay young forever! I had the privilege to see him performing as Luca in “The Car Man” about one month ago, Sunday 5 July at the Teatro Alighieri in Ravenna, and I want to remember him smiling to people who asked for his autograph at the stage door after the show. I was watching from far all those wonderful dancers of the cast coming out of the theatre, unable to introduce myself and now I regret it! That Sunday he had yet to make his last performance of “The Car Man” for Sadlers Wells in London. Here some articles from colleagues and magazines, remembering him. The Donmar Warehouse is well organized indeed! 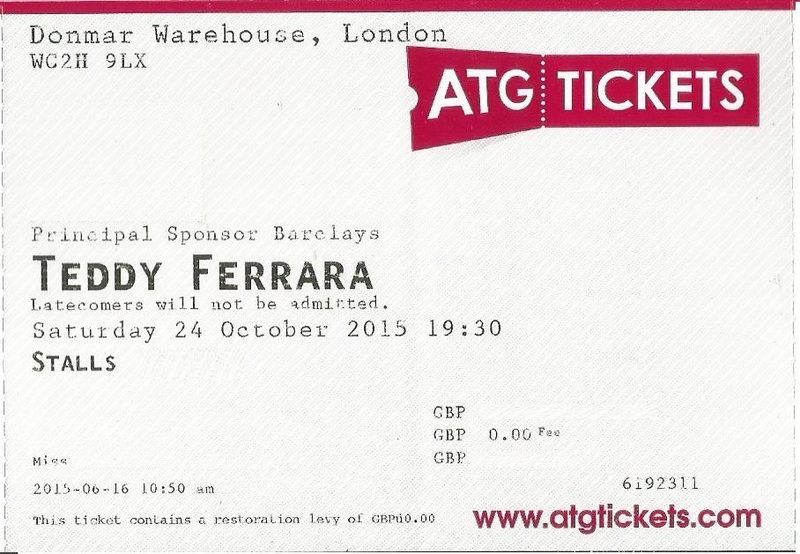 Yesterday morning I got my paper ticket for “Teddy Ferrara” by mail, October 24 should come so fast! I also appreciate theatres that manage e-tickets. 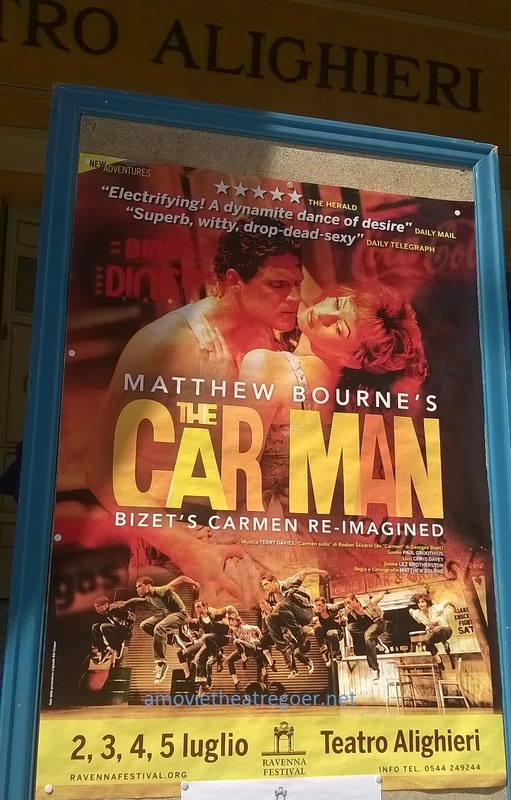 I’ve booked for “The Car Man” by Matthew Bourne at the Teatro Alighieri in Ravenna for “Ravenna Festival 2015” for Sunday 5 July matinee and I immediately got it by email. This is going to be another great year seeing theatre!